March 30 – So, our last litter of bunnies never happened. Not sure if April and Switch miscarried, or if they never were preggo to begin with, but either way, we were disappointed to see gestation day 31 come and go with no bunnies. So, after a couple of days to be absolutely certain they just weren’t “late”, we scheduled them to have a date with the boys once again. And once again, they are both due in a couple days – providing they are actually pregnant, of course! Today I put their nest boxes back in with some fresh straw. April (seen above) immediately jumped in the box and started nesting. Good sign! Switch was more interested in chewing on the straw. I sat nearby to observe them for a while, and she had yet to get in the box by the time I left. So, I’m not real hopeful there, but I’m not giving up all hope yet. She’s an inexperienced breeder. Could be she just doesn’t know what’s going on with her body yet. We can be optimistic, right? -Holding straw in her mouth (not eating it) -maybe because she instinctively wants to build a nest? So far, Switch is showing ZERO signs of being close to the end of pregnancy. April is rather busily building a nest. 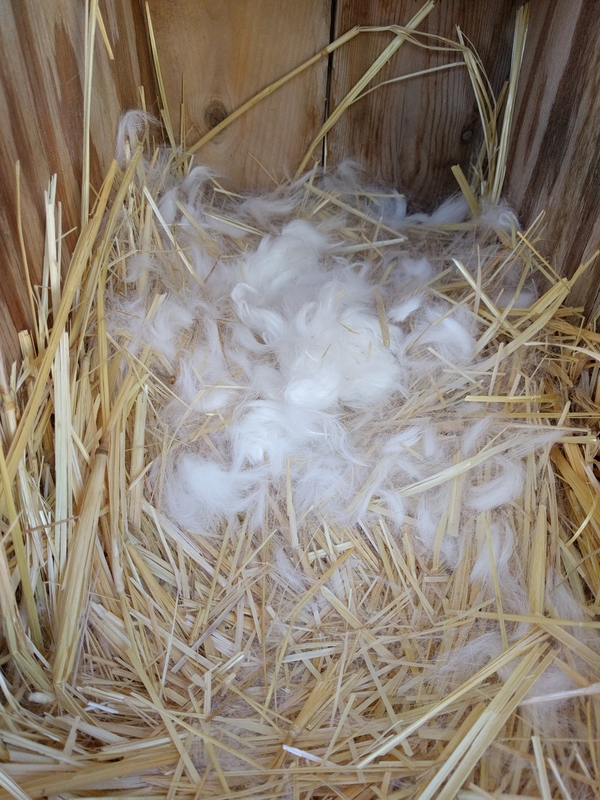 But then, she built a nest last time and even lined it with fur, and then nuthin’. So, I guess we’ll just have to wait and see. I’ll update this post as we go along. Update #1 – Sunday, April 2 @ 10:10pm – it’s now the end of day 30. No kits and no signs of labor from either doe. As a reminder, rabbits have a gestation of 30-31 days. When we had her before, April always kindled on day 30. Maybe, just maybe we’ll have kits in the morning or some time tomorrow. Update #2 – Tuesday, April 4 @ 4:50pm – it’s now just about evening on gestational day 32 and absolutely nuthin’. This is rather frustrating. I can understand what’s up with April. She’s old. But according to the friend we got the rabbits from, the other three are only a couple years old.There should be no reason why Switch has not gotten pregnant. This homesteader is thinking it may be time for rabbit stew. Or maybe I’ll sell them as pets on Craigslist. I can usually find someone who wants to save them from the stewpot. That would put a bit of extra money in our pocket, and save us the trouble of butchering 4 rabbits. Don’t think the process of setting everything up, doing the butchering, processing the meat, and then cleaning everything up is worth it for only 4 rabbits. Especially since we’d have to can most of the meat as we don’t have space in our freezer. And that takes quite a lot of time. The Hubs may disagree, though, so I guess we’ll see. But at any rate, there are no baby bunnies, and I’m rather disappointed. 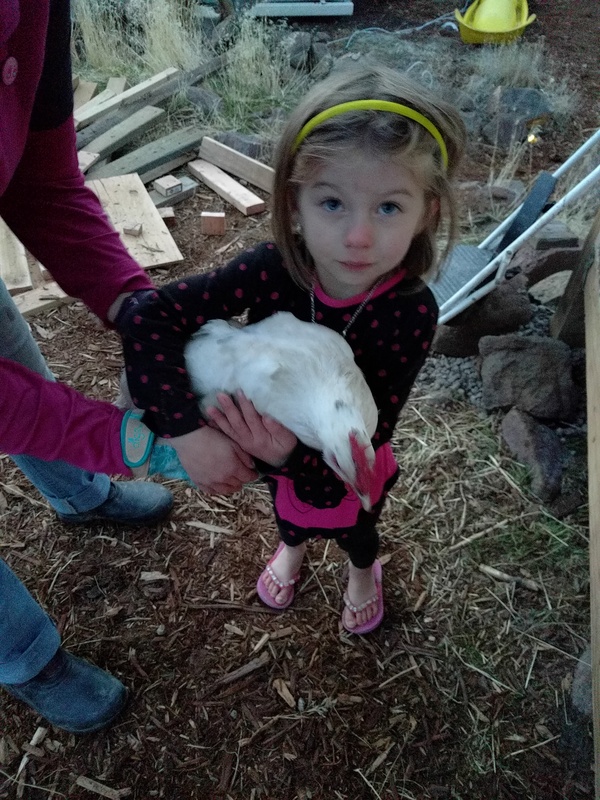 This entry was posted in Producing Our Own Food, Rabbits and tagged Homestead, Homestead Produce, Homesteading, Rabbits on March 31, 2017 by Maridy. In light of April the Giraffe gaining so much popularity as she approaches the birth of her baby, I thought I’d do a little baby watch myself. April (yes, same name as the giraffe) is our oldest rabbit at almost 6 years old. 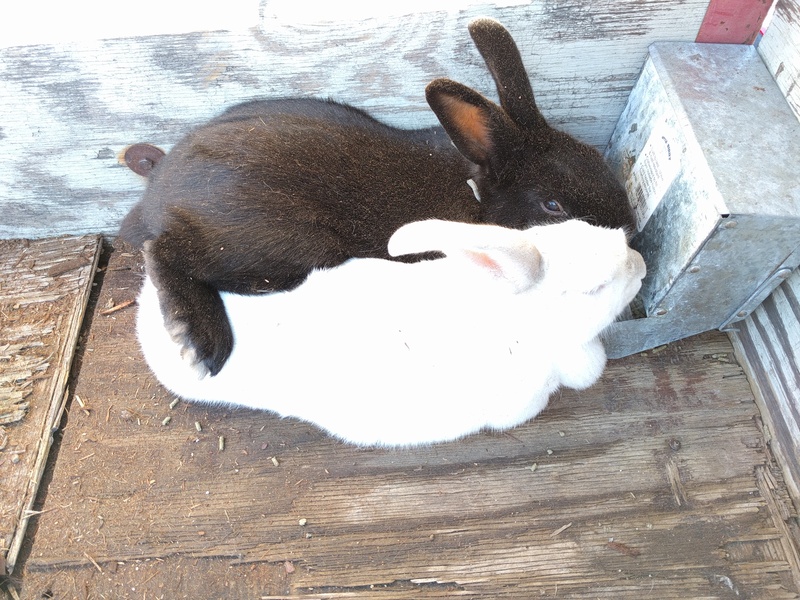 We bred her to our white and black male, Ollie, in the hopes of producing a solid white bunny or two. 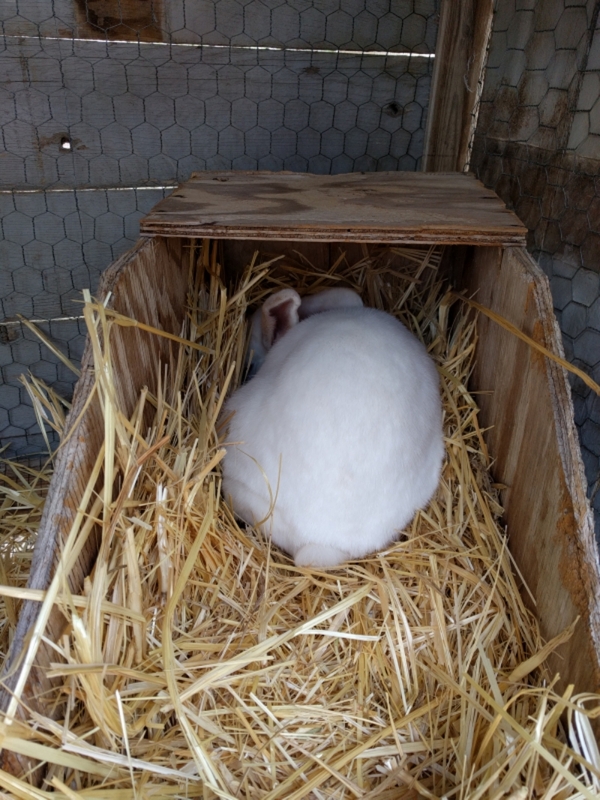 We weren’t expecting much, since she’s so ancient (in rabbit breeding years), but she seems to be preparing for birth by lining her nest box with fur. Rabbits do this since the kits (baby rabbits) are born hairless. Mamma’s fur insulates them and keeps them warm. 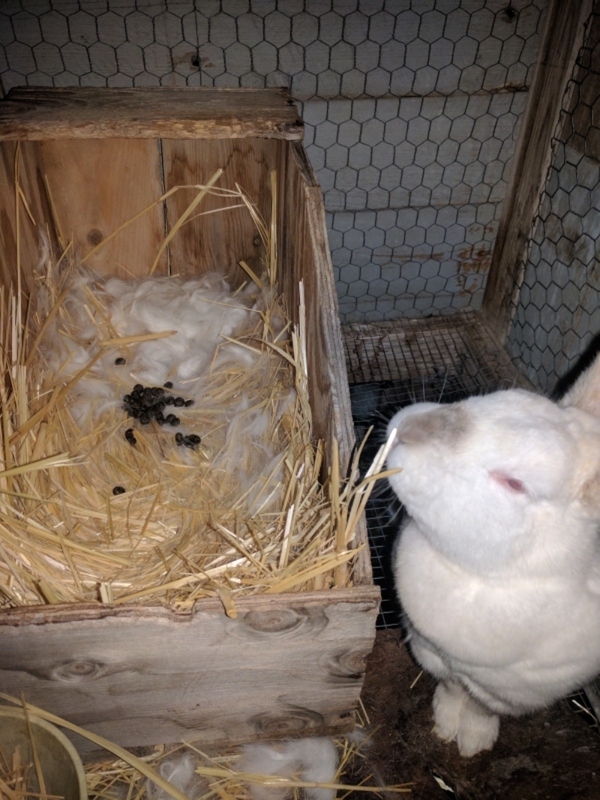 Mamma rabbits do not set on the nest to keep the kits warm as chickens do, so it is essential that there is plenty of fur in the box. April is an experienced mamma, so I’m hoping this means that her kits are going to make an appearance today or tomorrow. 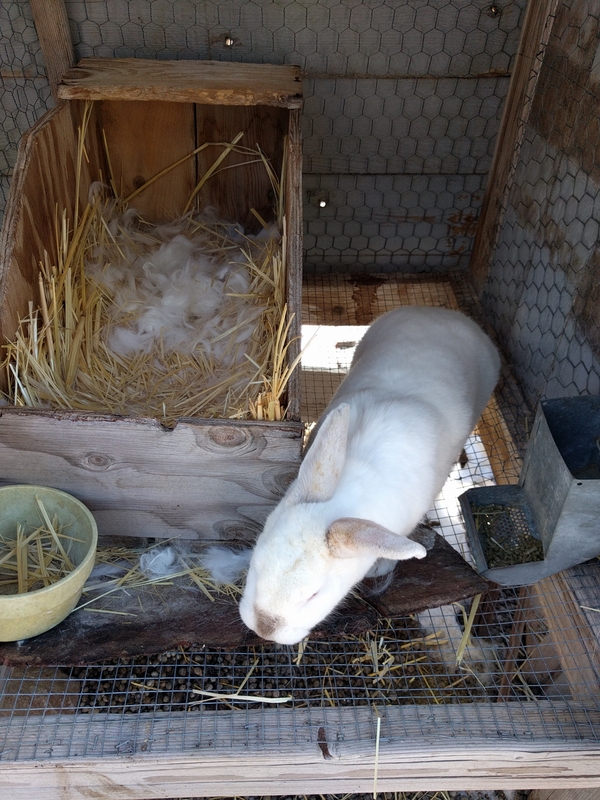 Switch is our other, younger, doe (female rabbit). We bred her to our solid black male, Vader, in the hopes of getting a solid black bunny or two. 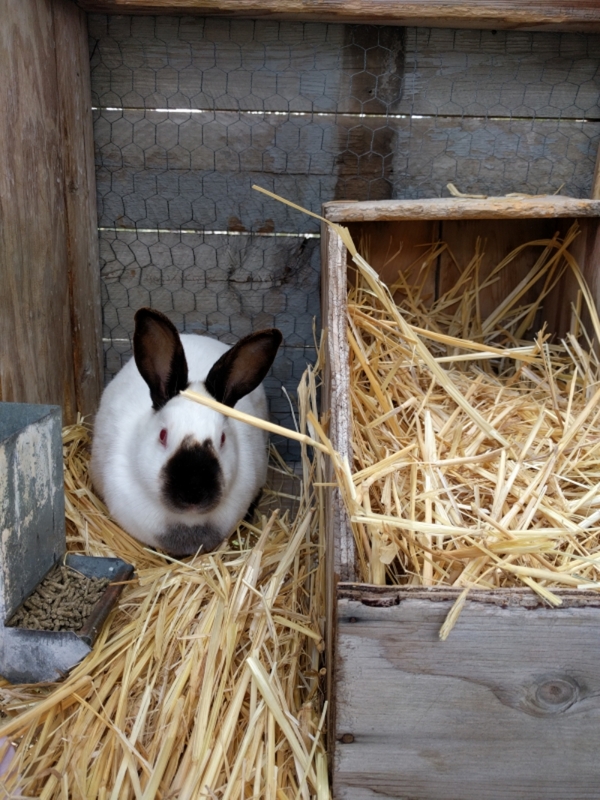 She has not stripped her fur yet, but some rabbits don’t prepare for birth until just before it happens, so we’re still hopeful that she is indeed pregnant. Some of our regular followers might remember that we were expecting bunnies at Christmas since the boys and girls got to play together for several days. 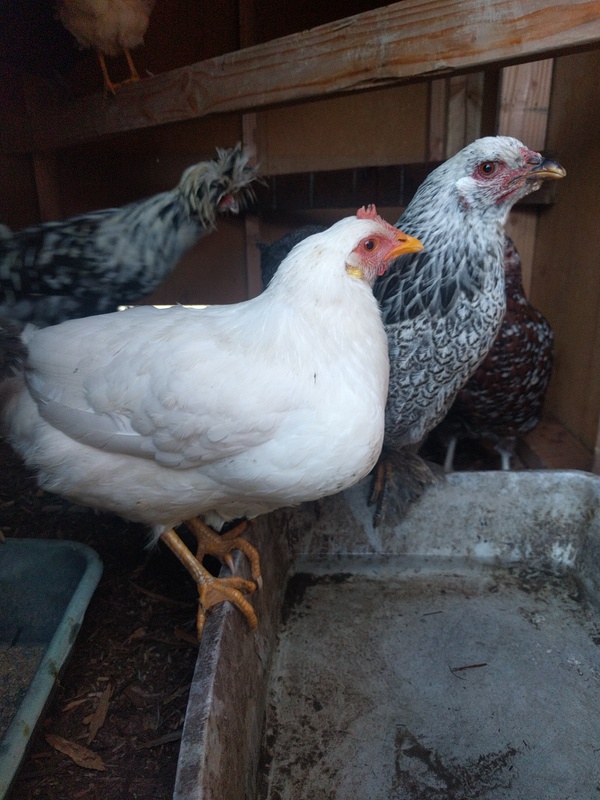 I put in the nest boxes a couple days before their due date, but nothing ever happened. Not even any fur lining. It’s disappointing when you are so eager for something like the birth of baby bunnies only to find out it’s not gonna happen. 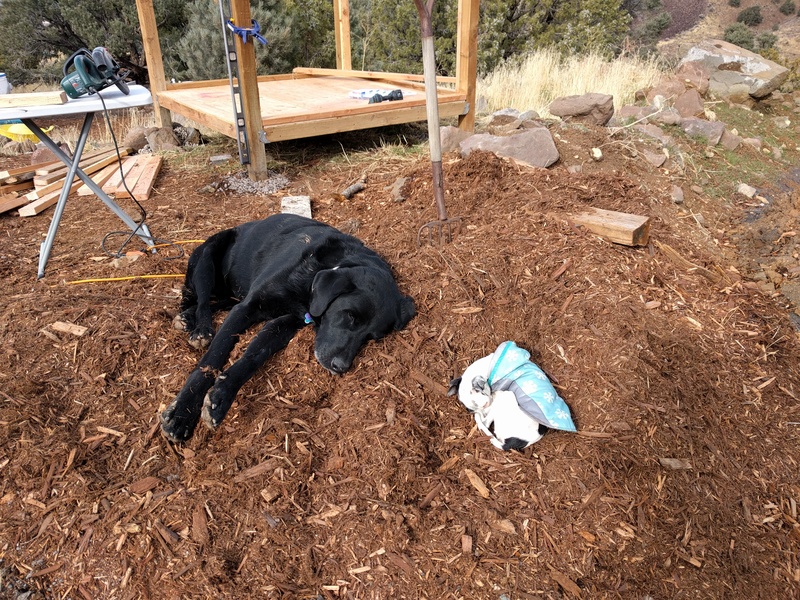 And as a homesteader, who wants to depend on the breeding program for food as part of our ever increasing sustaniable lifestyle, it can also be downright frustrating. And hard to wait a full month just to know if it even worked or not. On the other hand, at least they are not cows or sheep or giraffe who all take nearly a year or more to have a baby! I guess waiting 30 days is not all that bad in the grand scheme of things. I will keep you updated over the next day or two. Hopefully we’ll have some good news to tell soon! 9:45PM – Heading toward bed and shutting down the animals for the night and still nothing. Actually there is something. 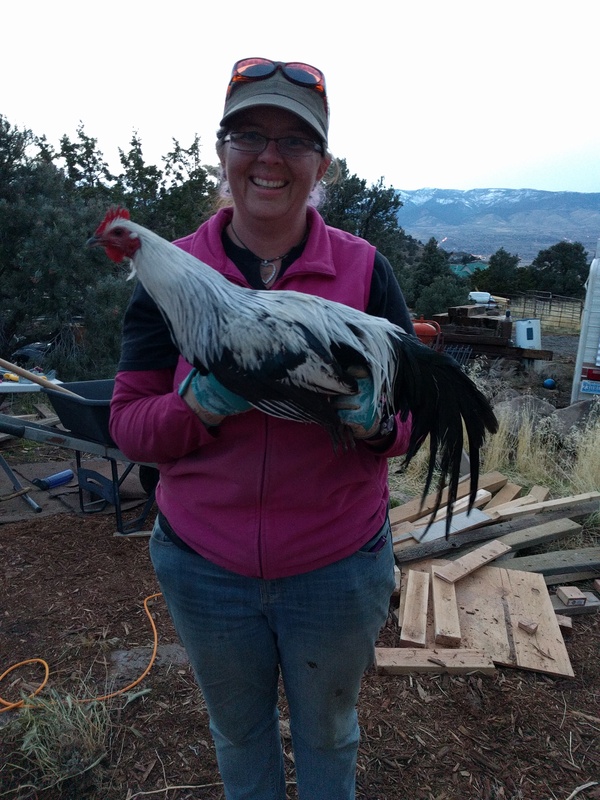 This entry was posted in Producing Our Own Food, Rabbits and tagged Homestead, Homesteading, Rabbits, Sustainable Lifestyle on February 28, 2017 by Maridy. 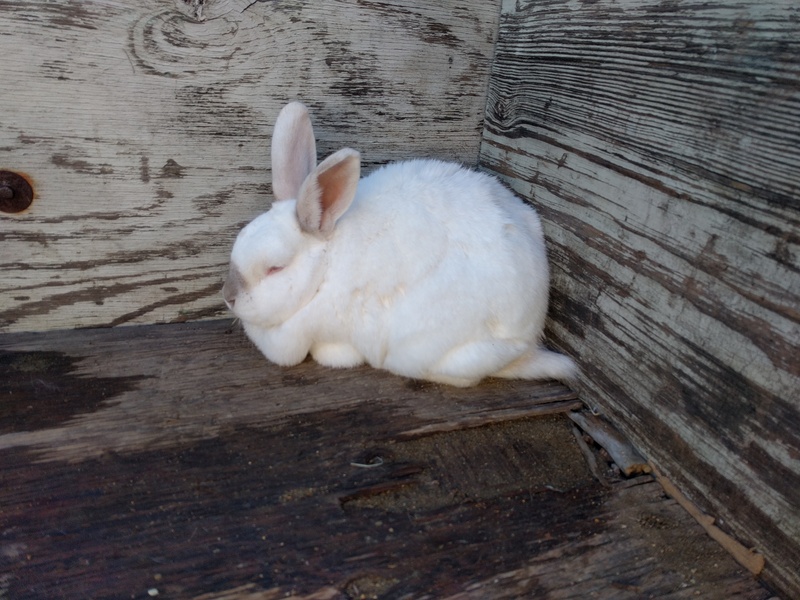 A friend of ours was looking to re-home his chickens and rabbits. So, who did he call to see if we wanted to take them? Why, us, of course! And it just so happened that THIS week is the week we needed to take them. 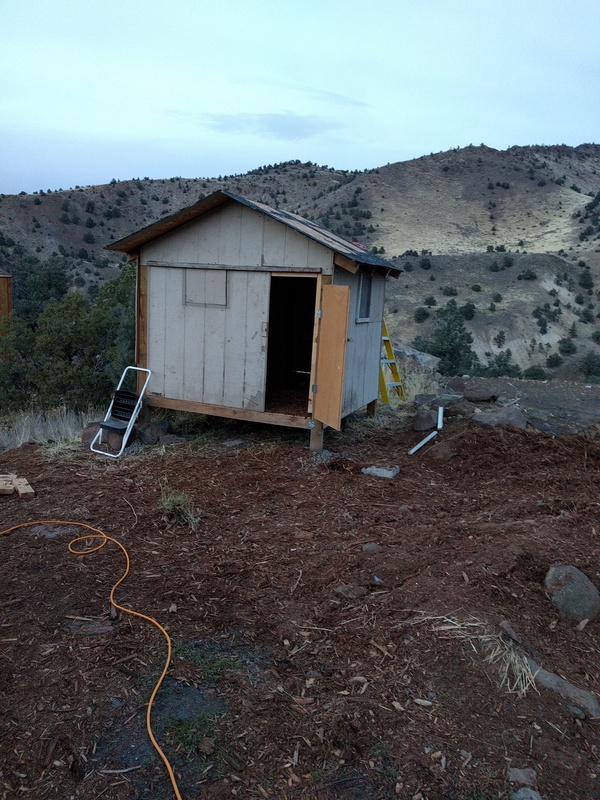 Despite the fact that we did not have a chicken coop. At. All. 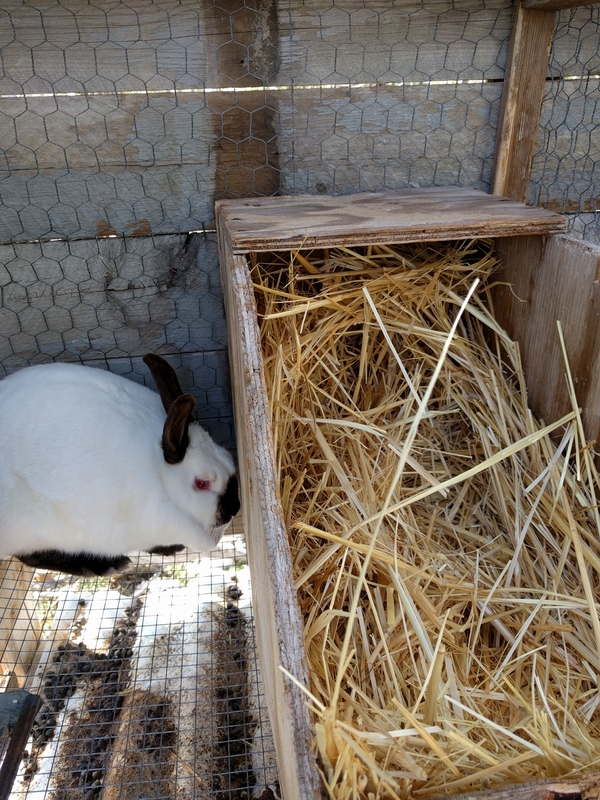 And our rabbit hutch is in disrepair. But did we let that deter us? Not a chance! 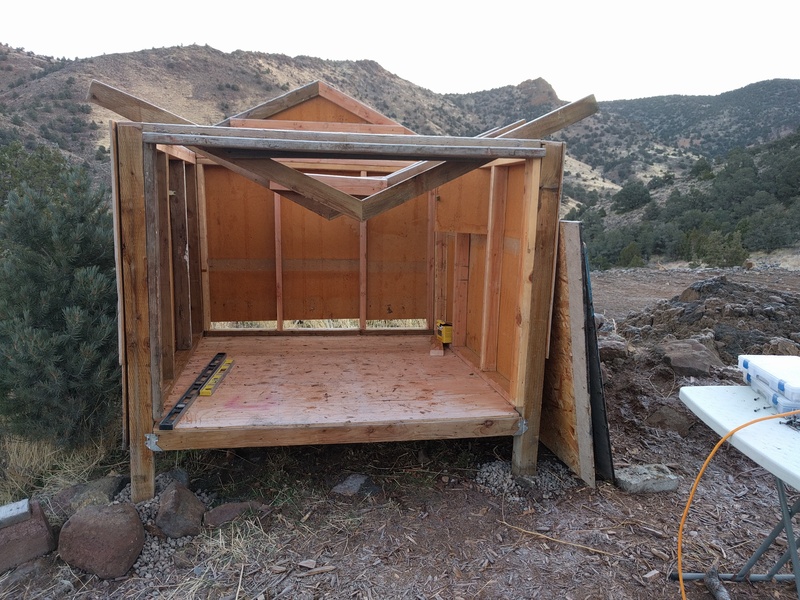 If you follow us on Facebook, you’ve probably seen the progress we made on a chicken coop. 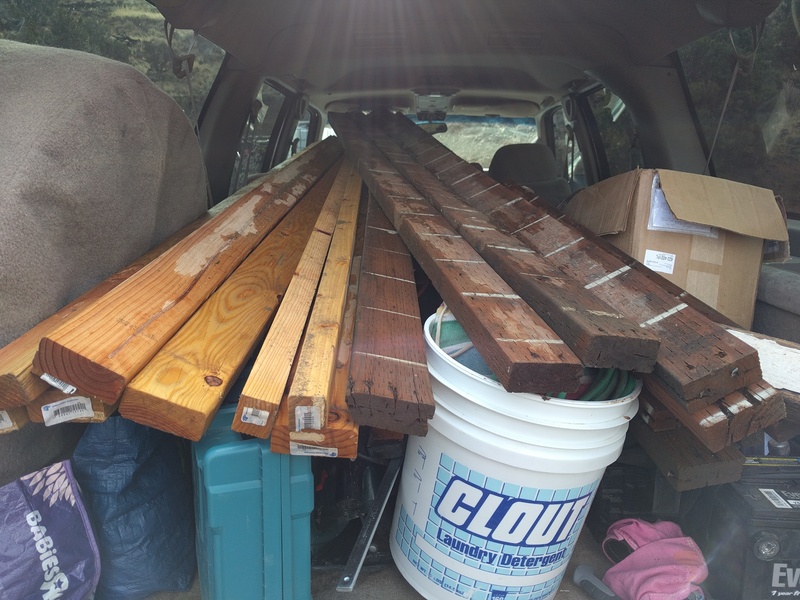 We’re pretty excited that so far, we have not had to buy a single thing to put together our chicken coop. Most of the wood is reclaimed wood from a friend’s old play house and some shelves we demolished which we found on freecycle. 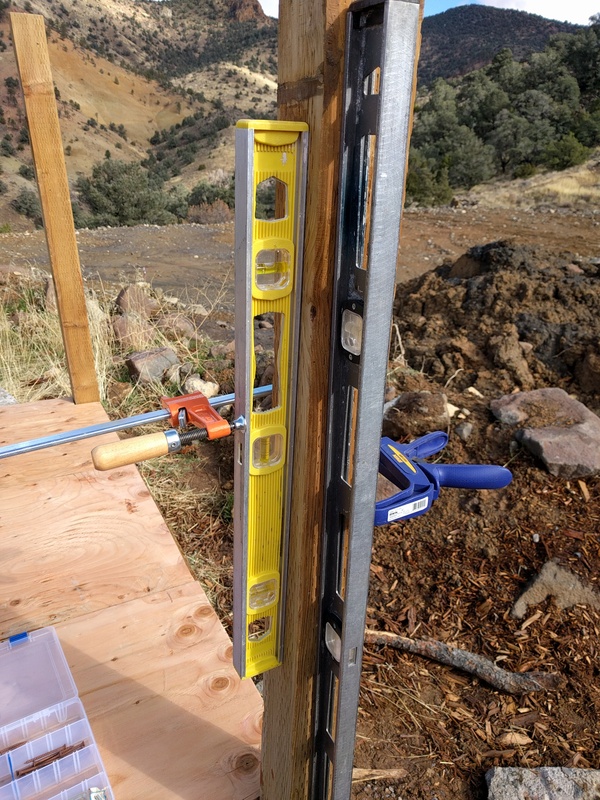 A few 2×4’s are “new”, as in, never been used, but we’ve had them hanging around for a while. We’ll eventually need to put a bit of money into it for roofing and paint, but it won’t cost us very much. We feel so blessed. 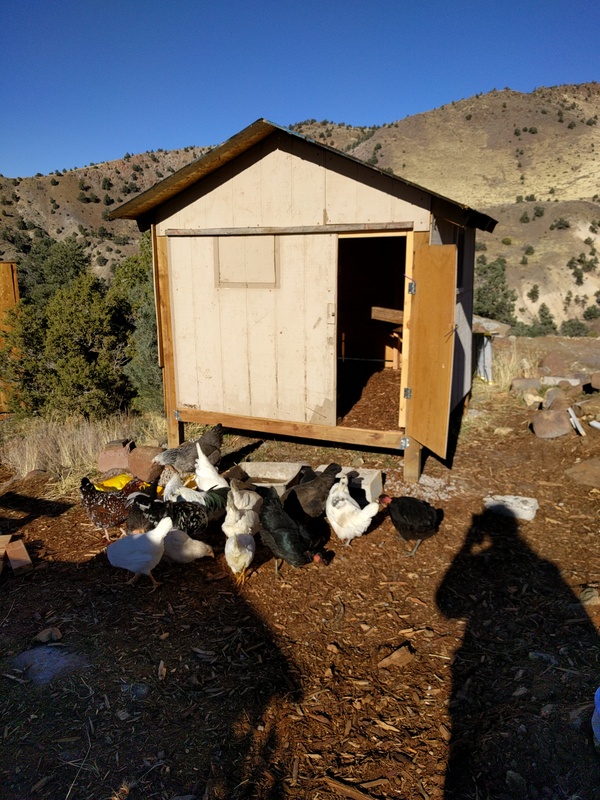 Over the course of a few days, I worked to get a coop up enough that the chickens would at least have a place to sleep. My “office” for a few days. How blessed am I?! 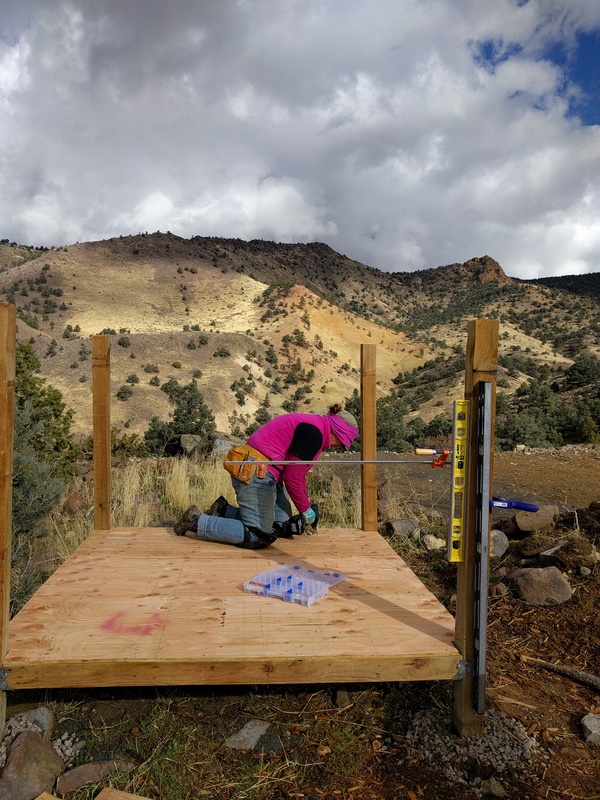 Making sure things are level and plumb. My co-workers for the day. Lot of help they are! Getting closer. This is what the coop looked like when we brought the chickens home on Tuesday at 2pm. 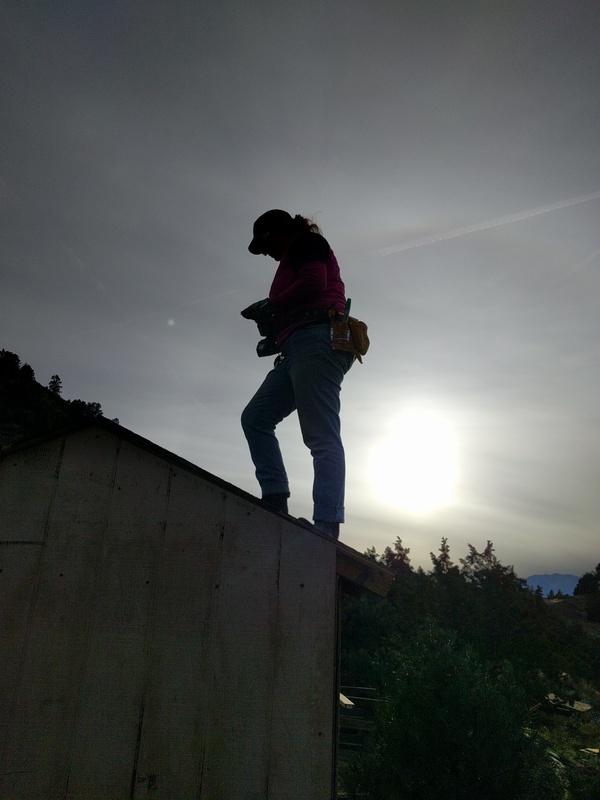 It took everyone to work to finish the coop before sundown. It’s not finished, but it will work for a few days to get us through till we have time to work some more on it. Time to bring in the chickens. Flower girl wanted to help, of course. Happy in their new home. They’ll free-range till we can get a run built for them. 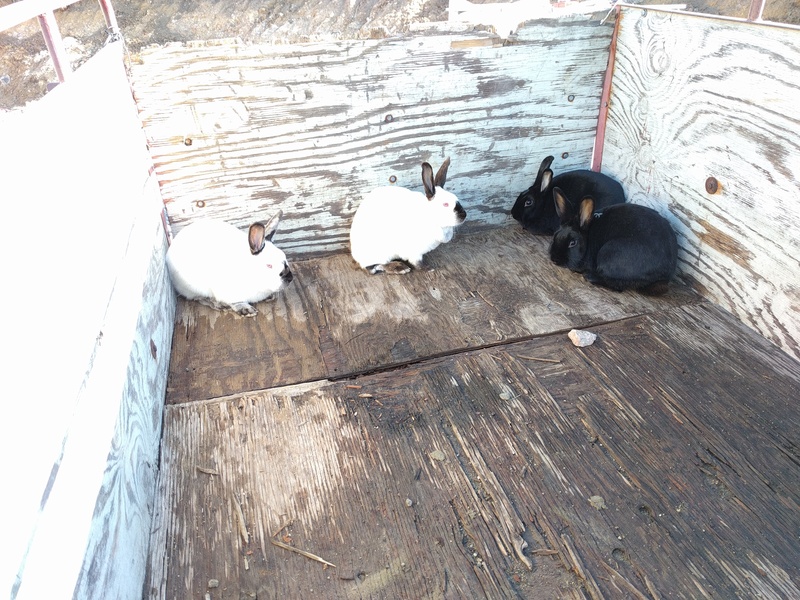 And the rabbits are living in a little box trailer we have till we can get their hutch repaired. This is April. She actually belonged to us several years ago till we gave her to our friend, who gave her back to us. She is the most docile of the group. The other 4 are her offspring, several generations removed. She is no longer a breeder since she’s so old, but she’s so sweet we’re not sure if we want to cull her or not. And that’s our new adventure. 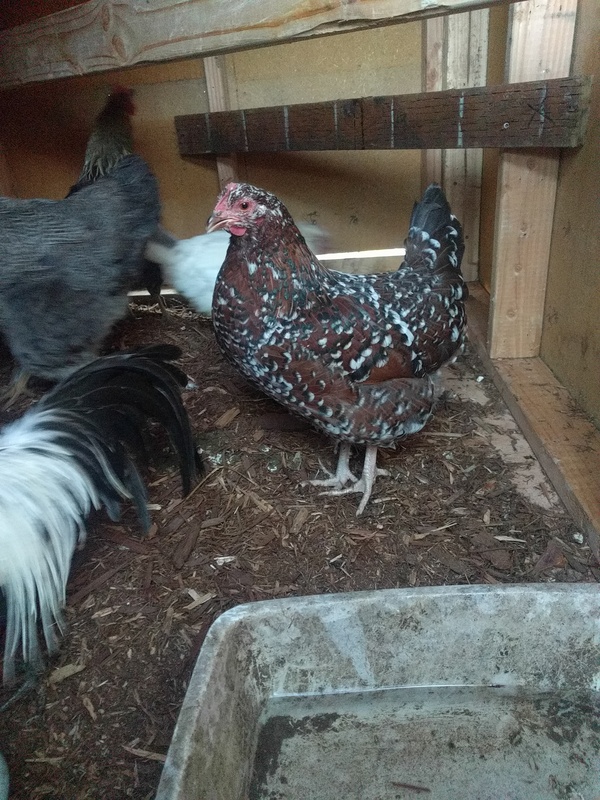 I’ve had fun over the last couple of days trying to figure out what breeds of chickens we have. Eventually we want to get into breeding them, and doing so selectively. But for now, it’s enough that we have chickens again. And the rabbits. Yes. That is three females and two males all running around in a box trailer together. Yes, that means babies in about a month. But the deed was done before we got home. They had all gotten out of their cages and were running around in the trailer with the chickens. Figured that since the deed was already done, it wouldn’t hurt for them to live in colony until we can get their hutch repaired. 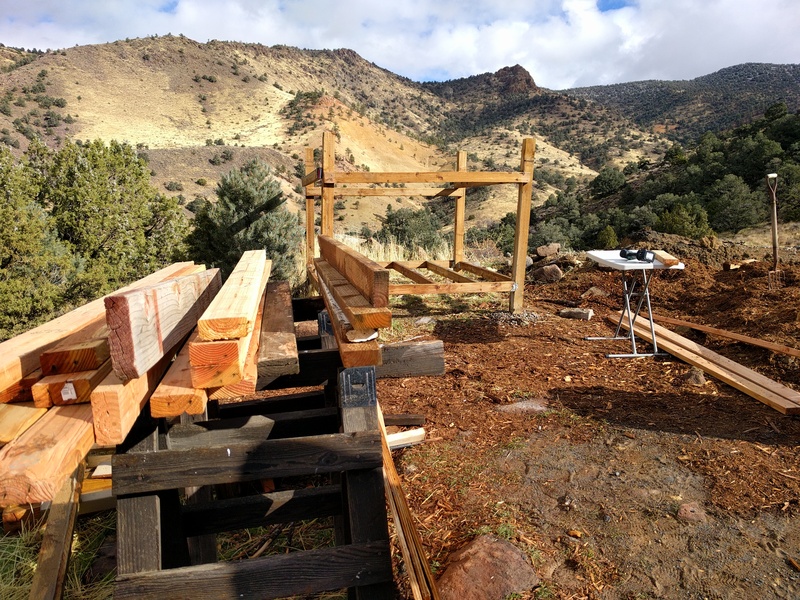 That’s our project for this weekend. And in just a month, we’re gonna have babies. Lots of cute, cuddly, fluffy baby bunnies. Just in time for Christmas. 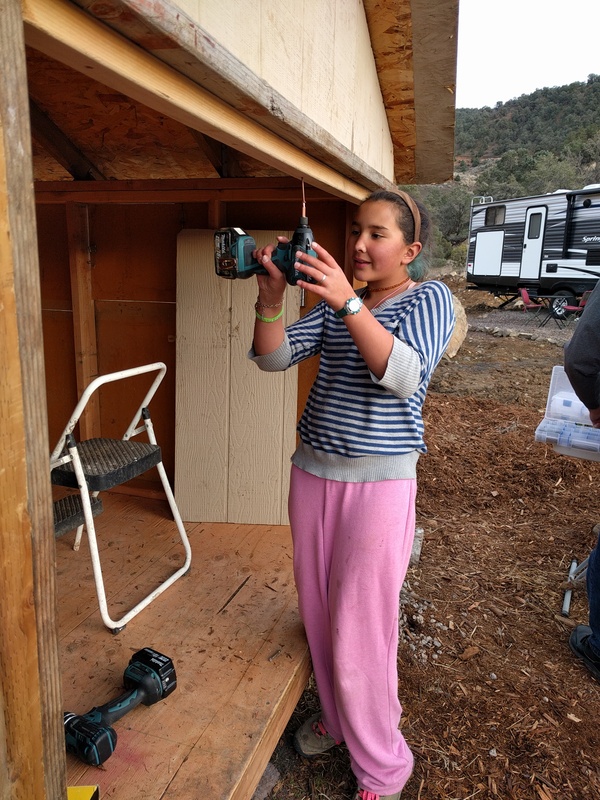 This entry was posted in Chickens, Rabbits, Skills and tagged Chickens, Construction, Homestead, Homestead Kids, Homesteading, Recycle, Reduce, Reuse, skills on November 25, 2016 by Maridy.